Let me tell you about my friend, Tom. Tom did seemingly everything wrong. Sure, he went to university as an 18-year-old, but he studied history — obscure history to boot. After four years and five figures of debt, he was forced to find employment at the only place he had any experience, which was the same grocery chain where he worked during the summer. Fortunately for Tom, the grocery store ended up being a great place to work. He was quickly promoted to department manager, and then assistant manager. By the time he turned 27, he was in charge of a small store. Just a decade after leaving university with what many — Tom included — would call a worthless degree, he was managing one of Alberta’s busiest grocery stores and making close to six figures. 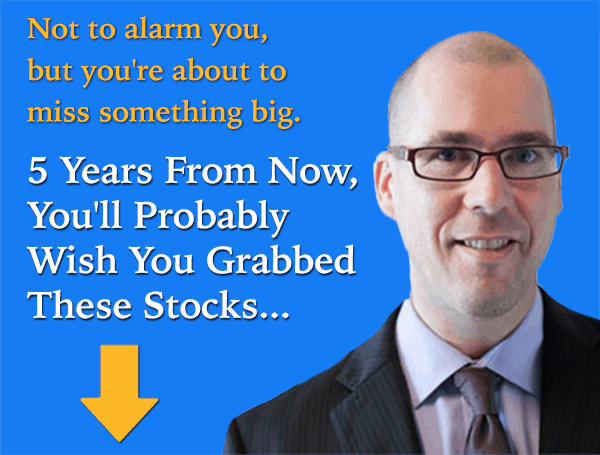 These days, Tom is sitting on a comfortable six-figure portfolio which was amassed over a decade of smart saving. He’s able to support his family on only his salary while saving a ton for a rainy day. He’s not a millionaire yet, but he will be. It’s only a matter of time. Here’s how he’s doing it and how you can, too. Common wisdom today is that millennials should jump from employer to employer, as long as the move is for a promotion or higher salary. After all, most employers won’t hesitate to fire staff in dire times. Why should they get unconditional loyalty? Tom’s experience disagrees with that line of thinking completely. He stayed with the same company, while everyone else jumped around. He’s convinced doing so allowed him to gain more pull with upper management. Even if he wasn’t the top guy for a particular job, he was considered because of his tenure. When Tom was first offered his own store, he turned down the opportunity. The reason? It was located in an expensive city without much affordable housing. His patience was rewarded. He was posted to a small town where the average house trades hands for under $200,000. He promptly went and rented one of the nicest apartments in town for the grand total of $1,000 per month. Tom is relentless about other expenses too. He packs his own lunch each morning, only going out when a sales rep is treating. He and his wife share a car. And his closet is filled with free swag accumulated during years in the business. Tom has bounced investment ideas off me for years now. His strategy has always been as simple as its been effective: he loads up on Canada’s best dividend stocks. Tom was also a big fan of the company’s current yield (close to 3.5% back then and 3.1% today), its impressive dividend history, and its low price-to-earnings ratio. High Liner still has these same qualities today. Tom is already up approximately 25% on his investment and has no plans to sell anytime soon. Another investment Tom really likes today is Sienna Senior Living Inc. (TSX:SIA). Sienna is the owner of 54 senior-living residences in Ontario and British Columbia. The demographic trend is very friendly for Sienna. The Canadian census just revealed there are more seniors than children in our country for the first time. Sienna projects there will be approximately 6.5 million Canadians above age 75 by 2040. Tom started buying Sienna at about $12 per share back in 2014, right when the company first announced it would pay a dividend. He’s collected a 7.5 cent per share monthly dividend ever since, while watching his shares increase by about 40%. Shares currently yield 5.3%. Despite graduating with a lowly history degree and spending his working career in a grocery store, Tom is easily on pace to become a millionaire. You too can join him. Just make smart moves like maximizing your salary, keeping costs low, and making smart long-term investments, and you’ll eventually make it, too. Fool contributor Nelson Smith owns High Liner Foods Inc.